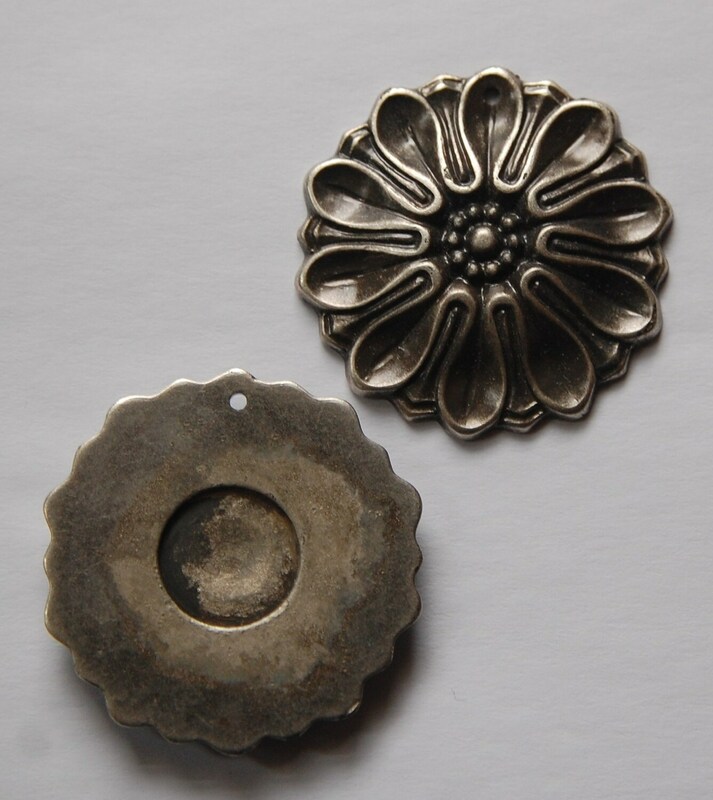 These are vintage antiqued silver plated acrylic flower pendants. They have a hole for attaching to your creations. These measure 44mm. You will receive 2 pieces. super fast shipping! 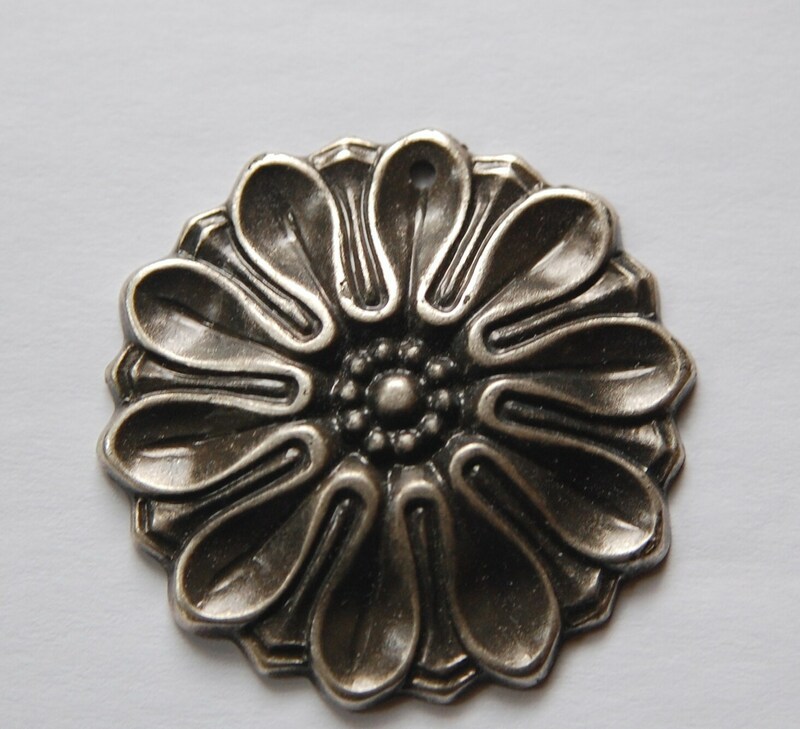 beautiful item!